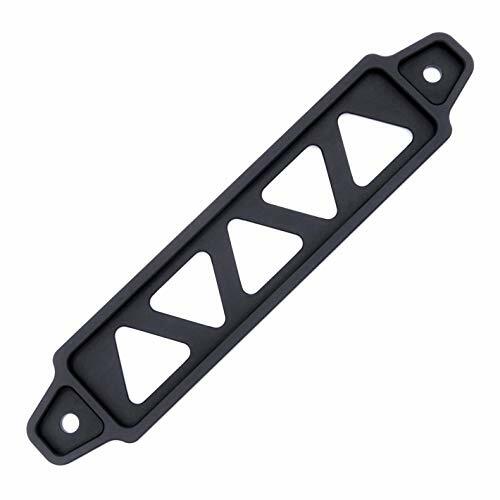 Matte Black Aluminum Car Battery Tie Down Bracket by Altland at Zona Indonesia. MPN: BTD01MBLACK. Hurry! Limited time offer. Offer valid only while supplies last. Designed for Batteries 6.8" (172mm) Wide or Narrower. Fits Most Group 21, 21R, 22HF, 22NF, 24, 24F, 26, 26R, 27, 27F, 29NF, 34, 34R, 34-78, 42, 45, 46, 50, 51, 51R, 52, 53, 54, 55, 56, 60, 61, 62, 63, 64, 85, 86, 96R, 151R, 30H, 31A, 31T Batteries. Please verify by measuring your battery before ordering. If you have any questions about this product by Altland, contact us by completing and submitting the form below. If you are looking for a specif part number, please include it with your message.